The Abuhav Synagogue is named after Rabbi Yitzchak (Isaac) Abuhav of Portugal. 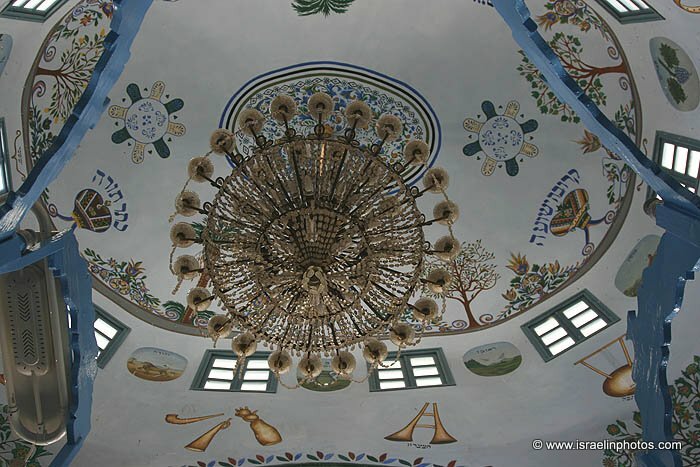 There is a bit of ambiguity, though, behind the origins of the Abuhav Synagogue in the mystic city of Safed. The synagogue was first built in the sixteenth century and its southern wall in which the Holy Ark stands is unique. Instead of one Holy Ark there are three Holy Arks. 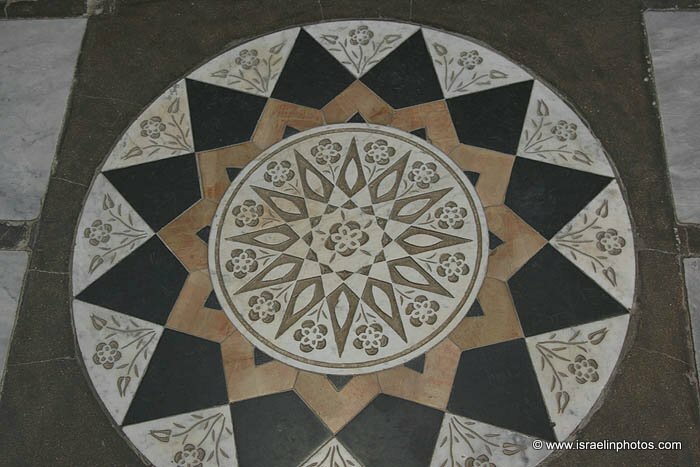 The middle one is used on a regular basis while the left one is used to store old, worn-out holy books. The one on the right is hardly ever used. Inside it is a Sefer Torah that was written nearly five hundred years ago by the hand of the famous Rabbi of Portugal, Rabbi Isaac Abuhav. 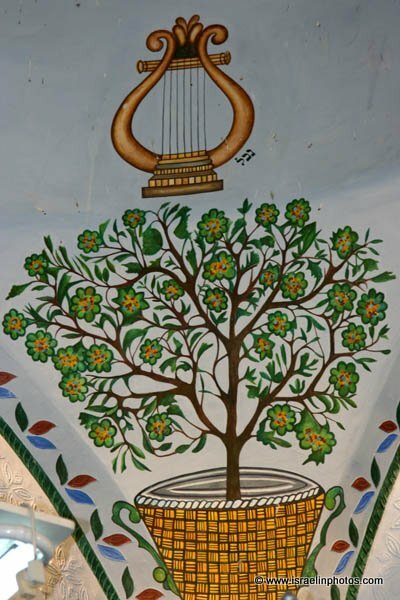 The scroll is the oldest in Safed and many traditions and legends are associated with it. During all these generations it was taken out and read on only three occasions: Rosh Hashanah, Yom Kippur, and Shavuot (Festival of Weeks). 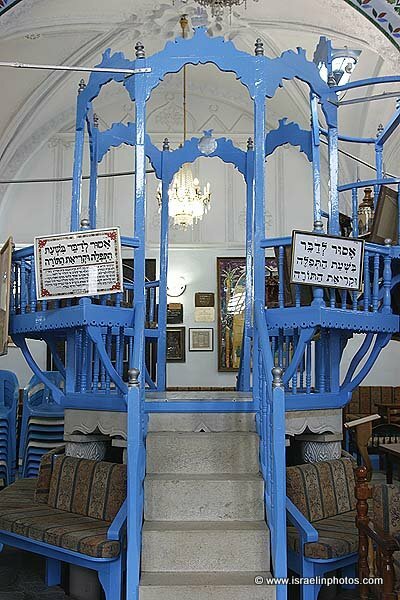 Another Torah scroll in the Abuhav Synagogue is the scroll of Rabbi Solomon Ohana, a Kabbalist from Fez, Morocco, who moved to Safed in the sixteenth century. The synagogue has been rebuilt twice since its creation, both times due to earthquakes. The first time was in 1759, when a large earthquake almost leveled Safed. Only the southern wall of the synagogue containing the Holy Arks remained intact. 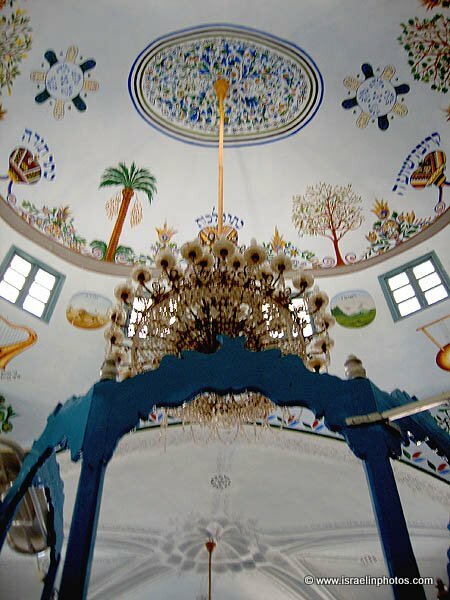 The second earthquake, in 1837, killed thousands of Jews and destroyed Safed. The synagogue was rebuilt again and dedicated in 1847. The bima is in the center and the benches for the congregation are arranged around it, as was customary in ancient synagogues. 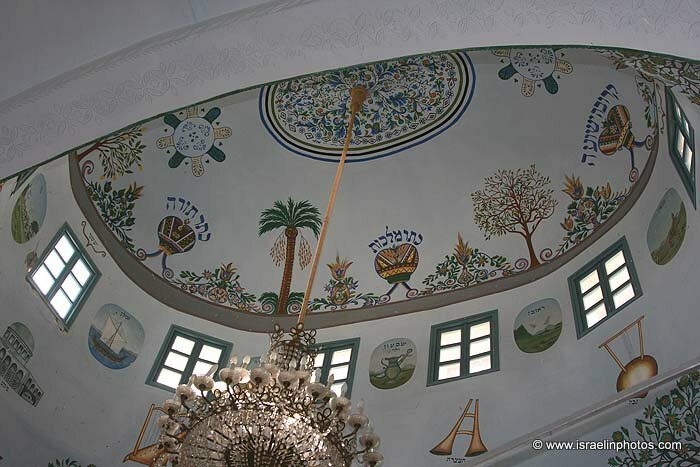 The interior of the synagogue dome is decorated with depictions of musical instruments that were used in the Temple in Jerusalem, symbols of the tribes of Israel, and four crowns, representing the Torah crown, the priestly crown, the royal crown, and a crown unique to Safed: "the crown of impending redemption". In keeping with the numerological tradition of Kabbalah, the design of the synagogue has numerical significance: one bima, two steps to it, three Arks, and so forth.